It's official! 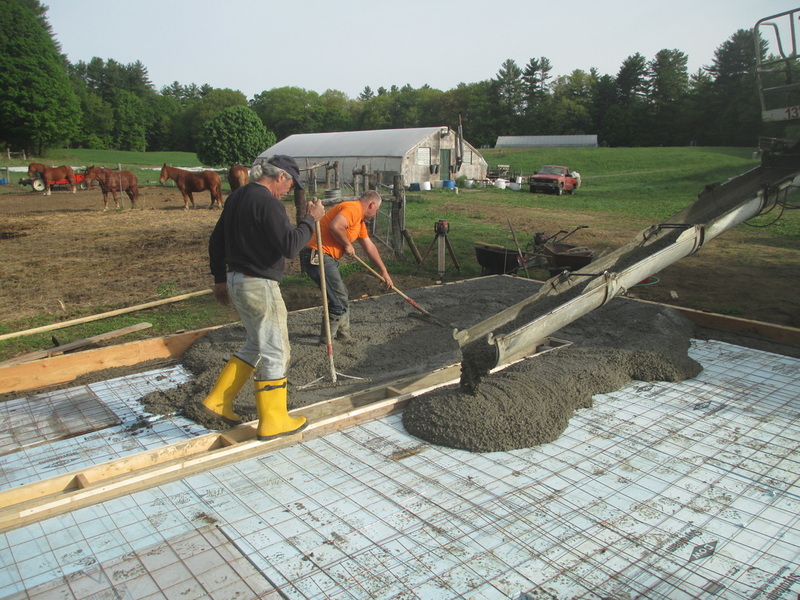 We now have a foundation for the new farmstand, wash station and crop storage building. The new facility got its floor this week with lots of help from Joe, Bill, and Jay. Keep a lookout for announcements for the barn raising coming soon! 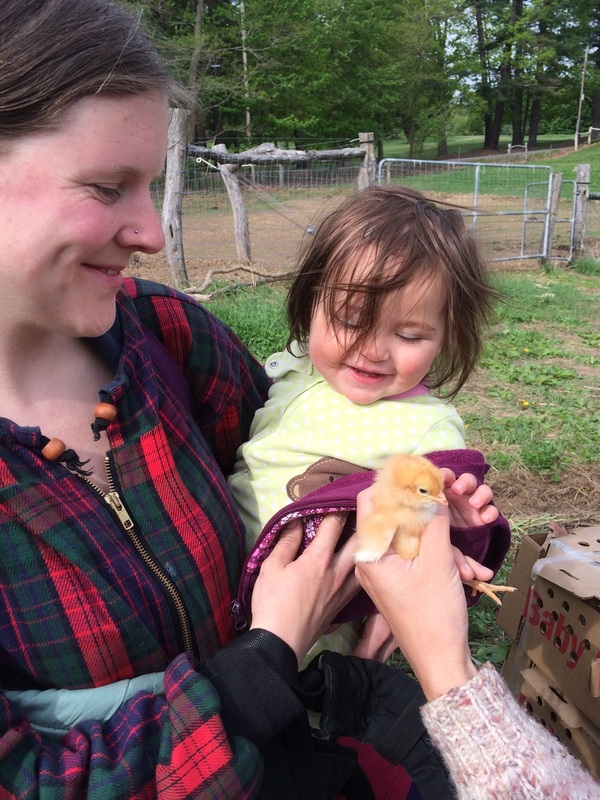 Selah welcomed the baby chicks to the farm, Sydney and Caitlin harrowed the fields and the goats were . . . just too adorable not to include in any photo post. Spring is in the air, and we have been enjoying the warmth of the greenhouse the past two weeks as we start our first seeds of the season: Patterson's, Alcosa Savoy, Farao, Evergreen Hardy, Deep Purple, Tango, Flash, Bright Lights, Toscano, Blue Wind, Ailsa Craig ….. seed varieties we love and associate with bone-warming sunshine and cold winter nights. Planting each tiny speck of seed into soil blocks can be tedious, but we elbow each other out of the way to get our chance at our first taste of hope for the coming warmth. 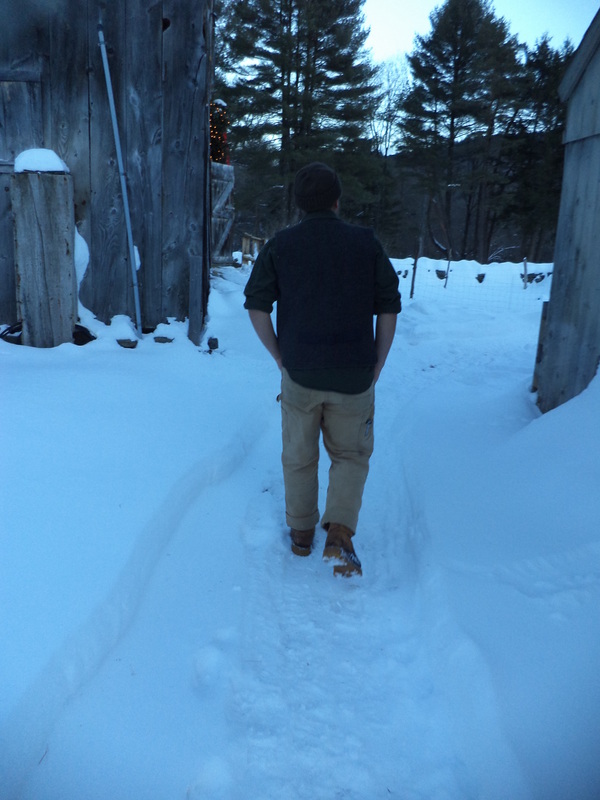 The days are lovely, but with the still-cold nights, we waken in the wee hours to bundle up for the walk out to stoke the fire in the wood stove. We have always heated the seedling house with solely wood, but this year we have installed a back-up heater in the chance that we've been up one too many times with the baby and just can't bear to face the frigid night air again. We don't expect to use it much as we strive to keep our propane use to an absolute minimum on the farm, but it could be our savior in the chance the sleep-deprived parents miss the wake-up alarm - freezing the greenhouse could be disastrous. With the flurry of seed ordering, buried deep in spreadsheets creating our planting schedules, ordering supplies, and playing with baby Selah, we've nearly forgotten our need to start signing up members for the coming season! Thanks to everyone who has already sent in their deposits. Early sign-ups help us immensely to formulate accurate budgets, keep the cash flow going this time of year and ease our nerves. 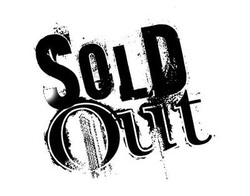 We have sold out by April in the past and hope you'll consider getting signed up soon. If you have questions about the upcoming season, want to get your hands on some marketing materials to pass out at work or school, or if you just need some time in the greenhouse yourself, stop by! We look forward to seeing you soon. 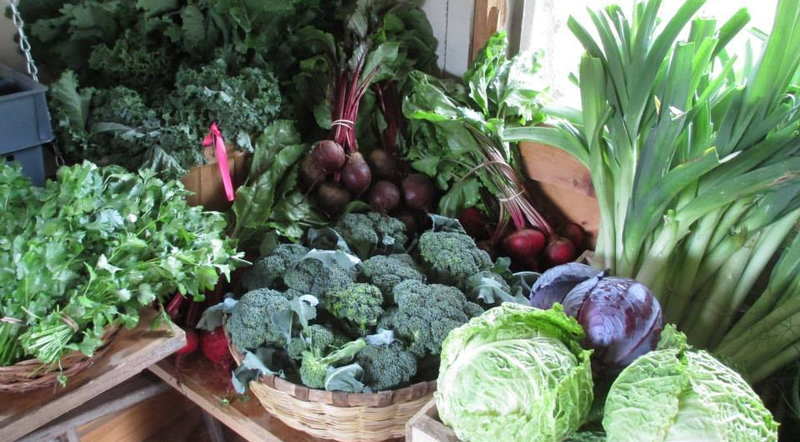 Just in time for the start of the season we have sold out of summer CSA shares. What a relief to be able to focus on the task of growing all this food rather than selling it! Thanks for all those who signed up early this year and made things that much easier. 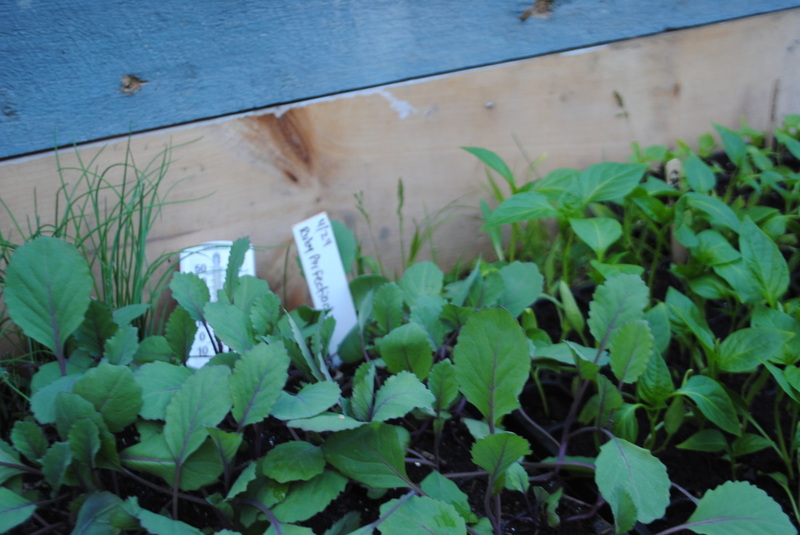 We'll have winter veggie share info on the website and in the farmstand very soon. Feel free to stop by the farmstand which will now have veggies! The furious nature of farming in the springtime has meant we have neglected our regular newsletters. With a little rain in the forecast for today and just 3 weeks before the start of the season it seemed a good time to give a little update on how your food is growing. We'll send out another email in the next two weeks with some of the logistics of pickups and more details, but as a quick reminder, pickups will be Tuesdays or Fridays from 3:30-6:30. You can pick up your food either one of those days, anytime between those times. More specifics to come. Overall it's been a great spring and crops are growing beautifully. The lingering cold meant we're still catching up on some of our early plantings, but our month and a half of multiple nightly trips to the greenhouse to stoke the wood stove have paid off and the transplanted crops are on schedule and healthy. Many of you who've done this with us before know our struggles with weeds, tractorless and battling the woes of virgin ground. This year we've transitioned to using the horses and our hands exclusively for weed control and are finding it to be much improved. The land we used last year especially, with the help of our exceptional weed-master Jon Hoover, looks beautiful. We're also cultivating two acres of land that has been in hay field for more than 60 years this season. At the far back of our property it's remote and without any pumped water or electricity, but it's the finest soil on the farm and flat and square, making it a joy to work. 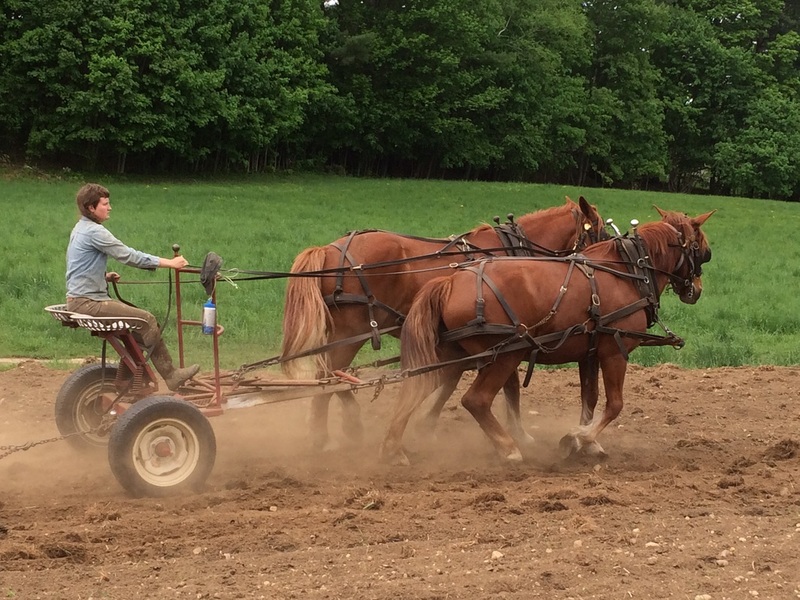 With just our Suffolk Punch horses we've been plowing, disking, harrowing, laying compost, planting cover crops, and battling the persistent rhizomatic weeds. We have extended a gravity-fed spring line to provide low-pressure water to the crops and are in the process of installing a solar-powered pump which will provide enough pressure to irrigate efficiently. As some testament to the health of the soil in the new field, our October-planted rye is nearly 3 feet tall and flowering already! Along with focusing on growing peppers and melons and broccoli, we're working hard growing a baby. Caitlin is working double-duty and we're expecting a baby girl at the end of July. What a great place and time to raise a child! Along with your warm blessings on our soil and your crops, send some along to her as well. We set a goal of selling the equivalent of 52 full shares this season and have all but met our goal. We had serious doubts that we could expand our numbers so much this season (last year we had 33), but once again have been blown away by the eagerness of this community to put their money where their mouth is and support small, diversified farms (and eat incredibly fresh, organically-grown food too). If you know folks who still want to sign up please tell them to get us a deposit immediately. We're also very excited to include in our membership list this season 11 scholarship recipients and the Loaves and Fishes soup kitchen, who will be receiving a large portion of first-grade food, all as a result of generous donations made by many of you, our sliding scale payment system, and other outside supporters. We strongly believe that good local food should not be a boutique item and appreciate all the support in helping make it available to everyone. 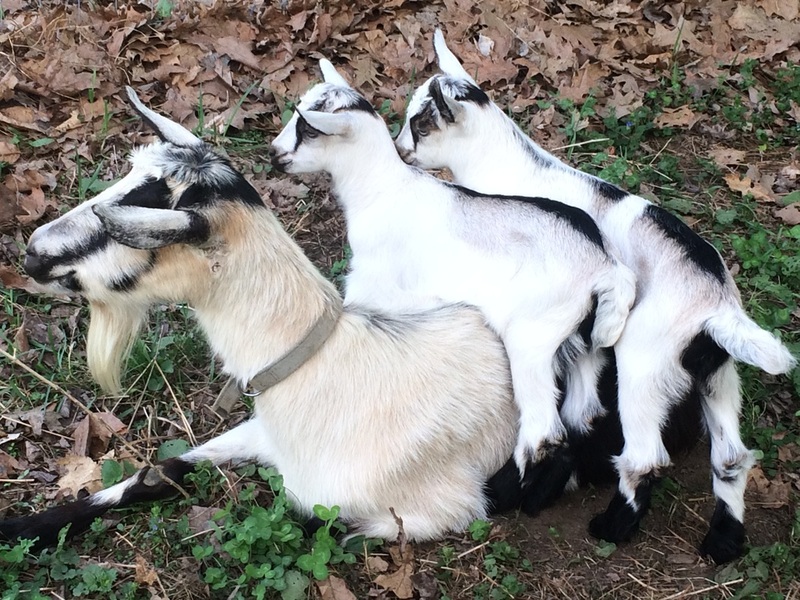 Of course, part of the CSA experience is enjoying the farm when you're here. 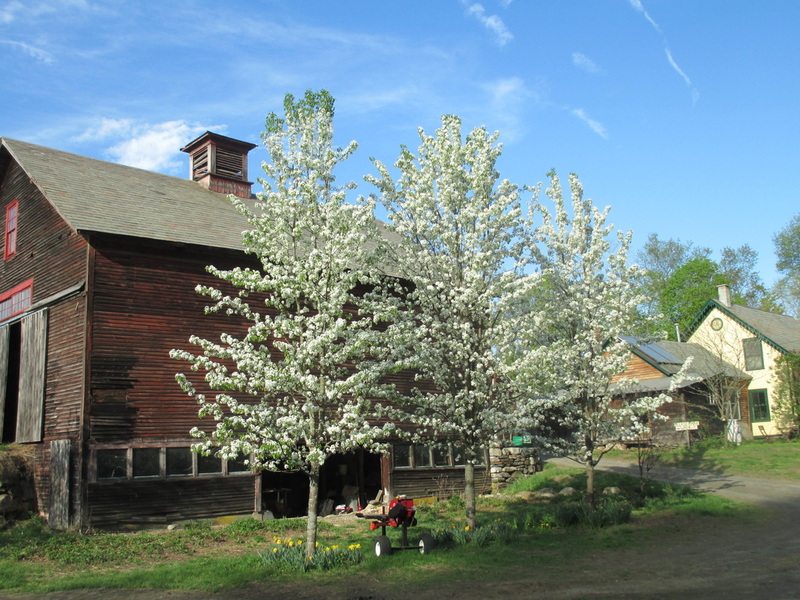 We invite you to stop by anytime to wander the trails or fields, say hello to the horses, sheep, pigs, chickens or turkeys, and throw a stick to Obie, our gregarious border collie. We hope you'll feel some ownership if this farm this year and take advantage of its proximity to town. Come join CSA members and neighbors for the first annual Northeast Organic Farmers Association Open CSA Day. 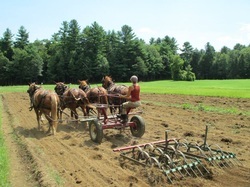 This Sunday from 1-4pm we'll be touring the farm by horse drawn hayride, demonstrating how we plow and cultivate the vegetable fields with horses, petting the baby goats, pigs, lambs, and chicks, and answering questions about the farm, the CSA, and the state of agriculture in Southern Vermont. It's free, kid-friendly, and open to everyone. Come say hello! Farewell to the cows . 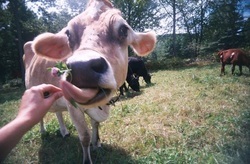 . .
Monday 4/28/14 is the last chance for raw cow's milk! We say farewell and bid a lovely journey to Melba, Hattie, Maxine and Rex as they settle into their new homes. 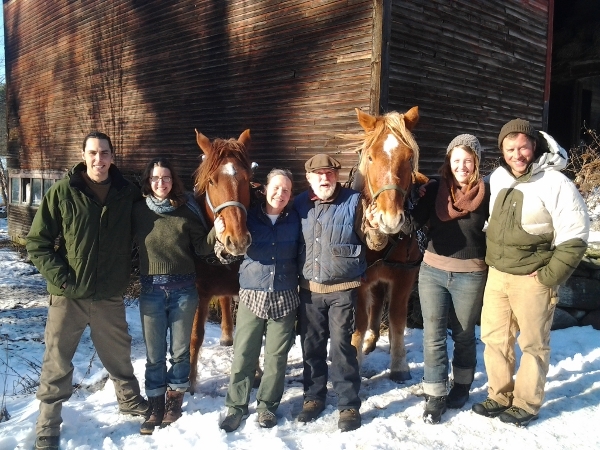 We're grateful for all they love and cheer they've brought to Wild Carrot. SNAP is here! After many years of cobbling together a system to accept food stamps and EBT benefits we have finally been approved for our very own machine! 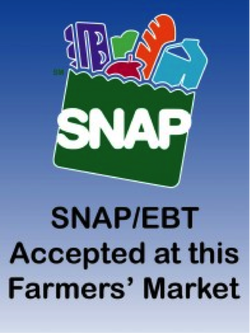 You can now (officially) use your food stamp card to buy CSA shares, retail produce, meat and eggs.